A few weeks ago, this photo of Creeper frontman Will Gould and Waterparks frontman Awsten Knight was posted on Twitter, and our hearts couldn't handle it. 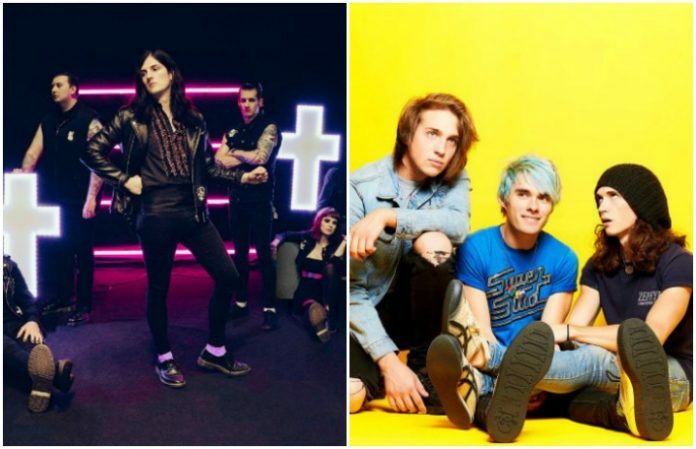 The photo was taken while Creeper and Waterparks were on tour together in U.S. this past winter with Too Close To Touch. Waterparks are currently on a run of the U.K. with All Time Low and SWMRS. On March 13, the tour stopped in Creeper's hometown of Southampton. Yesterday, Gould posted this photo on Instagram. Then, Gould joined Waterparks on stage at their show in Southampton—and we're swooning. The king of darkness and the king of light of the scene are real. Creeper are gearing up to release their debut album—Eternity, In Your Arms—March 24. Waterparks released Double Dare, their debut album, last year. Previous articleAll That Remains announce spring tour and other news you might have missed today!